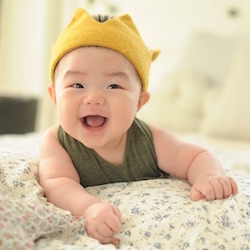 We've been working with expecting and new parents for over twenty years and from our experience, we've put together the BabyNames.com baby names best practices. Have a tip? Email us at info @ babynames.com. 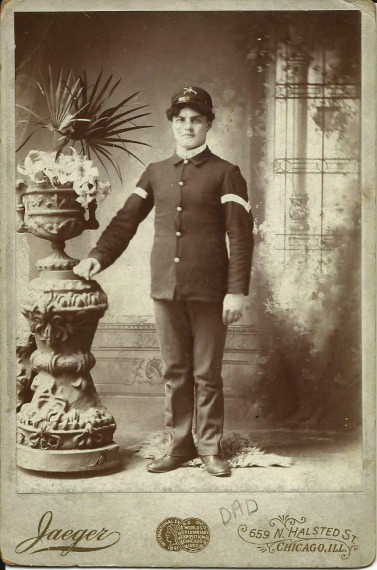 For centuries, parents have used family names for their children.With online genealogy sites like FamilySearch.org or Ancestry.com you can go back generations and find family (and names) that you never knew existed! That being said, we recommend you don't name a child after a living parent or living family member in the parent's generation (uncle/aunt). Not only does this cause confusion, but it doesn't allow your child to have his or her own identity. Even though it might be tradition to name all sons in the family John Johnson, with a generational suffix like VII), it could make your child feel like a copy, or like he has to live up to his father. Consider both first names and surnames from your family tree--using a surname is a great way to honor a whole branch of your family! If the babies will have the same last names (like cousins), don't use it, period. It will cause confusion throughout the family, and could even cause confusion legally. If the babies will have different last names but live close in proximity or the family will be gathering together often, don't use it. For the same reason parents don't want their child to be "one of ten" Aidens in the class, he shouldn't be confused with another kid in the family. If the name is super unique or created by the original parent and you will be in the same community and/or the children will be going to the same school, don't use it. Note: although a name can't be copyrighted, if the parents go through the trouble of creating a name, ask their permission to use it. That's the polite way. You might be tempted to create a "punny" name for your child if your last name is a noun, like Shanda Lear or Hunt N. Chase. But it does your child a disservice when he or she has to live with a name that's a joke. It's hard enough to get through elementary school without being teased, but you don' have to give the other kids an actual reason. If someone laughs when you tell them your potential baby name, then go back to Name Storming! 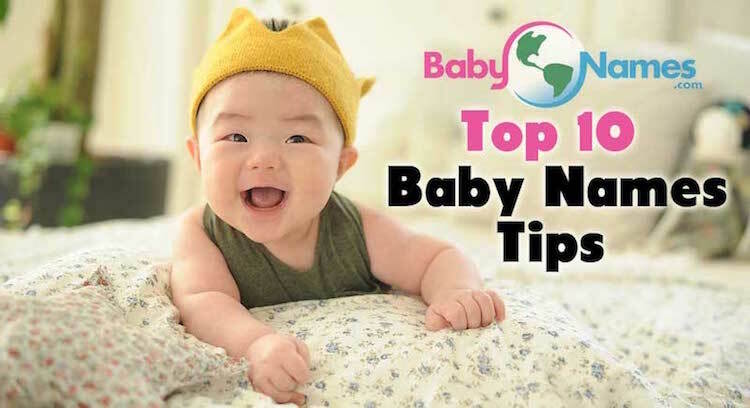 Baby Names Test: ask a couple of kids (5-8 years old) what they think of some of the names on your list. If they scrunch up their face or laugh at the name, maybe reconsider it! 4. Don't be too KREATYVE with spelling! Some parents who want to choose a unique name--but not too unique--take a popular name and create a different spelling. We jokingly call these Kreatyve Names. But imagine how the child has to live with the name their entire lives. How they'll have to spell it for people who ask. 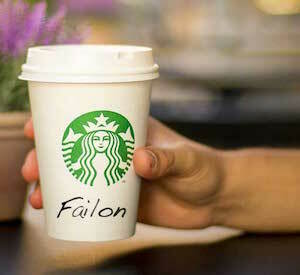 Baby Names Test: go into your local coffee shop and tell them your baby's potential baby name and see if they can spell it or if you have to spell it for them. Now imagine doing that for eighty years. Now, it's opposite for pronunciation. If you name your child Chase but insist that it's pronounced "cha-SAY," then your child will have to be correcting people who say "Chase" his entire life. Bottom line: how is your child going to live with the name? Is it going to enhance their life or burden it? Expecting multiples? Please don't give them "matching" names that could be mixed up or cause confusion. With the same reasoning as naming a child after a parent, each should have his or her own identity. Think about it, your twins will have to share their appearance, birthdays, clothes, rooms (most probably), schools, friends (up to a point), why should they have to have matching names, too? Name multiples as you would name siblings. If you have a naming scheme like first-letter (all kids' names begin with S) or nature names, that's fine, as long as it's not too similar like River and Ocean. If the names could cause the children to be mistaken for each other, go back to Name Storming! There is definitely a musical rhythm to a name, and you have to hear the name said aloud to genuinely "hear" it. To test this, we use first and last name only, as that is how your child will be identified most often throughout their life. Baby Names Test: introduce yourself aloud as your child. "Hello, I'm Jennifer Garner. How do you do?" How does that name, Jennifer Garner sound to you? In a triplet rhythm, you are placing emphasis on every third beat, where in a duplet rhythm, you emphasize every second beat, or every beat! Neither is right or wrong, it's a parent's preference which rhythm they like. There has been a small trend of giving a child a nick name as a given name, and we advise against this. Why put Jimmy on the birth certificate when you can name your baby James and give your child a choice when he grows up? Choosing a nickname seems to be very important to parents, but realistically, as a child gets older, he will either abandon it or replace it with one bestowed upon him from his friends. Also, it can be a detriment to give a baby girl a "cutesy" or "diminutive" name, as it might hurt her later in life. Could "Bunnie" command the board room? What about Pixie? Use a formal name on the birth certificate and give your child the choice of what they want to call themselves in all stages of life. Baby Names Test: mock up a business card with your baby's potential name. Or a book cover. How does it look? Can it work for an adult? What is an expectation name? It's a term we coined--similar to Puritanical Names--that put an expectation on your child. An extreme example is the name Chastity. A parent who wants their child to remain "pure" or honorable throughout their lives might choose one of the names. Or perhaps they are choosing a baby name like Justice, Honor, or Charity, to show their own moral compass. Whatever the reason, we feel it's an unreasonable burden you're bestowing upon a human being. So they're never able to make a mistake? Can you imagine Justice showing up in front of a judge and being humiliated? No, of course not, because you can't imagine your child ever being arrested. This also applies to what we call "Exalted" names like Princess, King, Captain, or Goddess. We know your child is the most precious and exalted soul in your life, but save those names for your pets. Most parents nowadays say that they want a name that's not too popular, but then they choose a name in the top ten. "But I thought it was so unique when I chose it!" Keep on top of the currently trending baby names and check out the yearly most popular baby names charts. Usually if a name starts rising on the charts quickly, it's likely it will make the top ten. Nothing is wrong with a top ten name, just realize that there will be more than one Emma and Owen in your child's classroom, and that after about five or ten years the name will seem "dated." Think about it, you can pretty much guess the age of a Nancy, Richard, or Brittany. The same will go for Bella, Luna, Liam and Ethan! Getting too much baby name advice from family and friends can confuse you and make you, as the baby's parents, second guess your choices. Although it's good to get input, ultimately the decision is up to you. Don't let potential grandparents bully you in baby naming! If outside advice becomes too much, shut it all down by saying that you've chosen a name and won't reveal it until the baby is born. Before the baby is born, it's more abstract to the grandparents, and so the name is more important to them. But once they see that baby's face, the name will be less of an issue. We guarantee it! Too often, one parent will be the name hunter and the other will be the vetoer. Have you gotten into a rut where every name that you've suggested is shot down by your partner? That's because this method doesn't work. It's important that both parents maintain a favorite name list and you set a side time for "Name Storming." Name storming is when you sit down and go over each list and discuss the pros and cons of the names on each list. Be respectful and allow your partner to veto a name and for no reason other than "Eh, I don't like it." We've written a guide to help you with this process! 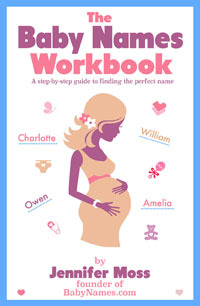 Get a copy of The Baby Names Workbook for each parent. It will walk you through the process of creating a favorite baby name list and how to whittle it down to find your perfect name.